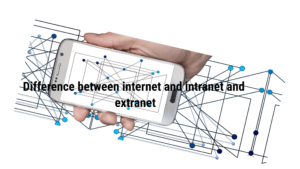 What is Difference between internet and intranet and extranet ? Before going forward to understand what exactly is the difference between the Intranet and Extranet, it would be advisable to understand what the internet is. Because both Intranet and Extranet are concerned in one way or the other with the Internet. The word Internet is widely used in our day to day life, but you should note that there is a huge lot of difference between the actual technical meaning of the word as compared to the context we use it in. The Internet is actually a system of computers that are interrelated through wires or wireless connectivity. They will communicate with each other through either Internet Protocol (IP) or Transmission Control Protocol(TCP). As long as the concept of the Internet is concerned, a computer can connect to another computer at any time and in whatever way it chooses to. There is practically no limitation of any kind for accessing the information over the internet. 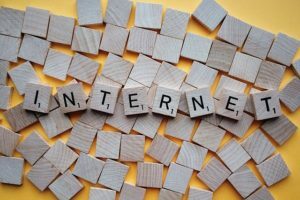 There is One Unified Internet for the complete globe, and all the computers ( or other devices like servers, smartphones or other such devices capable of connecting to the internet) can have access to this single internet at all times. Coming to the concept of the Intranet, it is a closed system of connectivity, unlike the Internet. It works in a restricted manner. Of course, it needs the infrastructure that is similar to the one needed while using the Internet, but the access is limited. Anyone on the globe cannot have access to the network that falls under the Intranet genre. Access to the network is allowed only for those people who have been concerned in one way or the other to the organization that the network belongs to. It can be considered to be a local only network â€“ if you want to put it in simple words. The intranet is best suited for the organizations that do not want their information to be available to the outside world. Any organization â€“ be it a huge corporate, or the military services â€“ which needs secrecy about its resources and servers opts for the Intranet. You can safely consider Intranet to be a subset of the internet. Only a few servers in specific locations are interconnected in the Intranet, while the internet connects a practically unlimited number of servers worldwide. Extranet, as you might have guessed rightly by now, is a computer network exactly opposite to Intranet. We can define it as a network that allows outside users to access it. However, it should not be confused with the Internet as a general term. An extranet allows the outside users, but it does have some restrictions. The type of network is most widely used for B2B purposes. It connects the database of an organization with the related entities like suppliers, dealers, distributors, and partners among others. We can safely Extranet as a selective amalgamation or blending of the Internet and Intranet. It will allow the convenience and exchange of information as in the case of the internet, while at the same time maintaining the secrecy as in the case of Intranet. Having understood what exactly Intranet and Extranet stand for, you might by now loosely understood the key differences between the two. Â However, to make it easy, let us differentiate them based on a few key parameters. Accessibility â€“ This would be the major difference between the two forms of networking. Though both Intranet and Extranet are restricted in nature as long as accessibility is concerned, Intranet has the highest degree of restrictions. Security -Â From a security point of view, Extranet is more prone to security violations. Hackers can have access to the data in an Extranet network quite easily. It may take the time to hack an Extranet system, but a hacker who is expert enough can gain access. In comparison, Intranet tends to be more secure. It may not be possible for a hacker to break the security measures in a meticulously designed Intranet network. Hardware and Software â€“ An Intranet will focus more on the security part than the Extranet. Thereby, an Intranet will have a firewall and a router to gauge and keep the malicious users at bay. Efficiency â€“Â An Extranet will be more efficient in its working. It does not need to develop different formats for each member visiting the network. Everyone on the network will be served the same data in the exact same format. However, this can be a cause for security issues as well. Well, we hope that the above discussion has cleared the doubts our readers had about the exact nature of Intranet and Extranet. It should be noted that the Internet, Intranet, and Extranet cannot be seen as separate entities. In fact, we would treat Intranet as the subset of the Internet, and Extranet as a subset of Intranet. The major differentiating factor would be the level of accessibility offered to the visitors. Apart from that, all the other functionalities would remain similar. That is the exact reason why people get confused with these terms. If their doubts are cleared, our purpose would be done. Are you aware of any other factors that make Intranet and Extranet stand apart? We would welcome your views on the topic. Your feedback will help up indulge in a more detailed analysis of the differences between the Intranet and Extranet. Do share your views with us and let us take this discussion further. I hope you all like the Article on theÂ Difference between internet and intranet and extranet. Kaspersky internet security vs Total security Comparison Which is Right? What is cloud computing ? 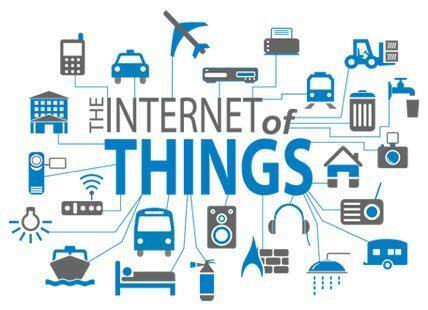 With all detail, you need to know INTERNET.ORG BY FACEBOOK What is Internet of Things ?